On 1 January 2012, the Solemnity of Mary, the Mother of God, the Personal Ordinariate of the Chair of St Peter was established. 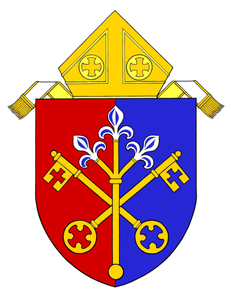 Equivalent to a diocese, the Ordinariate is composed of parishes, groups, religious communities, and individuals of the Anglican heritage gathered around the Ordinary. He serves under the direct authority of the Pope, in partnership with the bishops of the United States Conference of Catholic Bishops, to build up the Church through mutual mission and ministry while retaining elements of the Anglican patrimony. 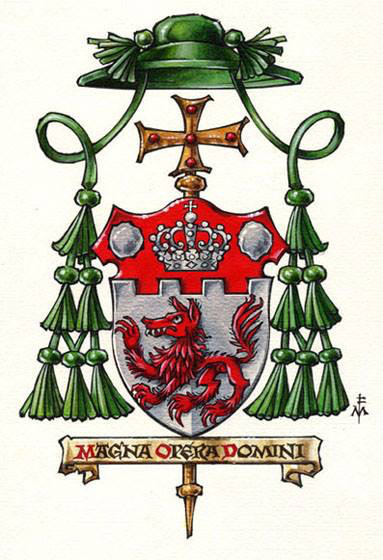 The members of the Ordinariate include “those faithful, of every category or state of life, who, originally having belonged to the Anglican Communion, are now in full communion with the Catholic Church, or who have received the sacraments of initiation within the jurisdiction of the Ordinariate itself, or who are received into it because they are part of a family belonging to the Ordinariate” (Decree of Establishment, 1). Joining the new pilgrims may also be the clergy and people of the Anglican Use parishes, who have been the pioneers in the noble work of living out the Anglican patrimony within the Catholic Church. O God of unchangeable power and eternal might: Look favorably upon thy whole Church, that wonderful and sacred mystery; by the effectual working of thy providence, carry out in tranquility the plan of salvation; let the whole world see and know that things which were cast down are being raised up, and things which had grown old are being made new, and that all things are being brought to their perfection by him through whom all things were made, thy Son Jesus Christ our Lord. Amen. The Ordinariate seeks to be genuinely open to the leading of the Holy Spirit and the wise direction of the Holy See, as groups of Anglicans bring their distinctive gifts and aspirations to this new work. What constitutes the liturgical, spiritual and pastoral patrimony of Anglicanism [AC, III] is as rich and diverse as the cultures of the people who have been nourished within this noble tradition. The Ordinariate will strive to maintain this comprehensiveness, firmly grounded in the Catholic Faith, in the spirit of St Paul’s charge to build up the Church in 1 Corinthians 12. Liturgical – The Anglican liturgical tradition emphasizes the principle of worship in the vernacular, that is, prayers offered to Almighty God in the language of the people. The Book of Common Prayer is one of the chief glories of the English language, and many elements of this tradition are already authorised for use in the Catholic Church in the Book of Divine Worship. It is hoped eventually that one liturgy will unite the Ordinariates located throughout the English-speaking world. A distinctive feature of this liturgical identity is the commitment to the sacral character of the language of prayer, one of the principles that guided the new translation of the Roman Missal. Ecumenical – After the second Vatican Council, the Anglican Roman Catholic International Commission (ARCIC) was established to work toward the reconciliation of churches separated at the time of the Reformation in the 16th century. This ecumenical work has born much good fruit: of particular note is The Gift of Authority (1998), which called for the re-reception of the historic ministry of Peter in the office of the Pope within Anglican life. The founding documents of the Personal Ordinariate make clear that it is intended to be an instrument of Catholic unity, an opportunity to model what the future reconciliation of separated Christian communities could be. The ecumenical character of the Ordinariate requires that we build bridges, heal relationships, and seek forgiveness where necessary, with respect and gratitude for the Anglican institutions that nourished us, so that we might build up the body of Christ. Evangelistic – Pope St John Paul II and Pope Benedict XVI have called the Catholic Church to renew her commitment to the evangelization of the peoples of the world. The Ordinariate will find its very life in this calling. Ordinariate congregations can only grow through the work of evangelization; the Ordinariate exists for those who are and will be coming to the fullness of the Catholic faith. Cooperating closely with the local diocese, the Ordinariate congregation will find its vitality, not only by preserving a venerable ecclesial patrimony, but by sharing it with a generous and joyful heart. If you wish to join the Ordinariate, please click here. 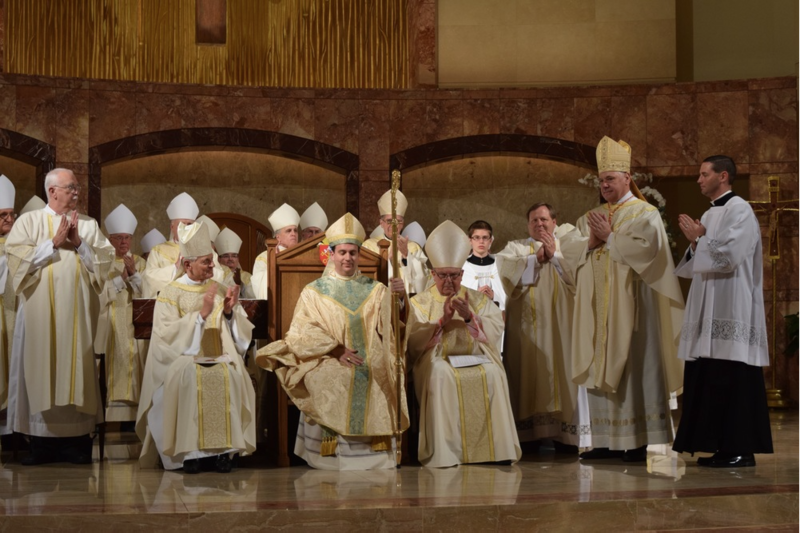 His Excellency Steven J. Lopes is the first bishop of the Personal Ordinariate of the Chair of St Peter and pastor to all its members and clergy in the United States and Canada. Steven Joseph Lopes was born in 1975 in Fremont, California to Barbara Jane and (the late) Dr José de Oliveira Lopes. His father was Portuguese and his mother is Polish. José emigrated to the United States in the early 1960s and became an American citizen in 1970. Barbara Jane was born and raised in Detroit, where much of her family still resides. The only child to two educators – his father taught languages and history at the university level, and his mother taught in Catholic schools for 47 years — Bishop-elect Lopes was formed and educated by Catholic schools in the Golden State: St Pius School (Redwood City, Calif.); St Edward School (Newark, Calif.); and Moreau Catholic High School (Hayward, Calif.). In high school, he began to discern the possibility of a vocation to the priesthood. He continued his discernment during his studies at the St Ignatius Institute at the University of San Francisco, where he majored in theology and minored in philosophy and German. With the encouragement of his family, he entered St Patrick’s Seminary in Menlo Park, California for one year, then completed his seminary education at the Pontifical North American College in Rome. He studied philosophy and liturgy at the University of Innsbruck. He then earned three degrees – including a doctorate – in sacred theology from the Pontifical Gregorian University in Rome, where he has also served as an adjunct faculty member. On 23 June 2001 he was ordained to the priesthood for the Archdiocese of San Francisco by Cardinal William J. Levada (then Archbishop Levada). As a priest of the Archdiocese, he served as an associate pastor at two parishes: St Patrick Catholic Church in San Francisco and St Anselm Catholic Church in Ross, California. In 2005 he was named an official of the Congregation of the Doctrine of the Faith, the Vatican office responsible for promoting and preserving Catholic teaching. For seven of his 10-plus years at the Vatican, he served as secretary to the Cardinal Prefect. He was named a monsignor in 2010. Pope Francis named him the Bishop of the Personal Ordinariate of the Chair of St Peter on 24 November 2015. For his motto, Bishop Lopes selected the Latin phrase, “Magna Opera Domini,” or in English, “Great are the works of the Lord.” By these words, the new bishop expresses his awe of God’s grace in drawing His people to the fullness of Eucharistic communion. Bishop Lopes is a member of the Order of Malta and remains deeply committed to the Order's service to the sick and the poor. 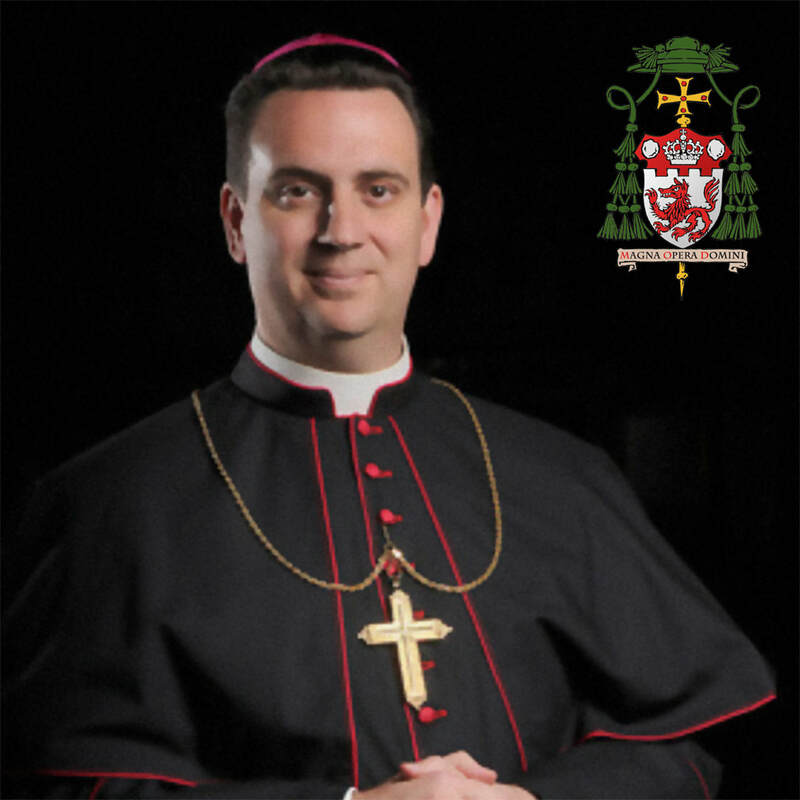 Bishop Lopes is a full member of the United States Conference of Catholic Bishops and the Canadian Conference of Catholic Bishops. Serving in evangelical charity by caring for those in need.